The standard two-channel speakers can make music sound GOOD. Nevertheless, home audio system makes audio sound GREAT. The sound quality can be distinguished. Audiophiles must not look anywhere else but choose a home music system. How home gets transformed with ultra sound music system? 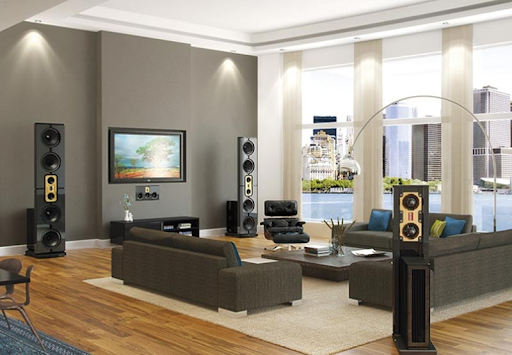 The high-end home audio system allows you to play same song in all the rooms seamlessly. The speakers are positioned at strategic locations, so that sound is balanced. In this way, when you return home from work, just press the play button and move around the bedroom or kitchen or living room without missing any lyrics or beat. Same soundtrack can be played on every speaker but what if your children want to listen to something different. Well, the home system also allows you to play different music in different rooms. Kids can enjoy their kind of music, while getting ready for the college, mom can listen to the radio, while preparing breakfast and even dad can walk on the cardio listening to gym beats. Every family member get to choose their preferred music and radio to enjoy in their specific area. All music sources as well as every room in the house can be accessed using Smartphone, Tablet or a remote control. The music system installers set up a control system suitable for your needs. Choose a suitable soundtracks for each room or single playlist for the whole house. Guests can listen to the flow of music anywhere they walk around inside and outside the house. All through the night make changes to the melodies, so as to reflect an ambiance. Home audio system does not have to be limited to the interiors. Nonetheless, heat and weather resistant speakers can be integrated on the outdoor spaces to create a perfect pool or backyard or patio area. Music can be enjoyed while taking dip in the pool, you just need to create an ideal playlist on your mobile. Your backyard will transform into a coolest musical area in your property. Wires all across the house are unsightly and speakers installed in every room take valuable space. Space that can be used to décor with furniture. Fortunately, in-wall speakers can be concealed within the walls. Thus they are of no hindrance and you get more movable space. You don’t wish to look at the stereo for listening to the music, it can even be done with eyes closed. Your focus is the music and the grills will also be painted to blend with the rooms color scheme. Listening to the screech of an alarm clock is really frustrating in the morning. Your home audio system can be programmes to wake you with a melodious song every morning. The concealed speakers will transfer the songs in your bedroom gently. You can even integrate the smart lighting and shading mode of your lighting system, so that your eyes get an opportunity to get accustomed to the daylight.